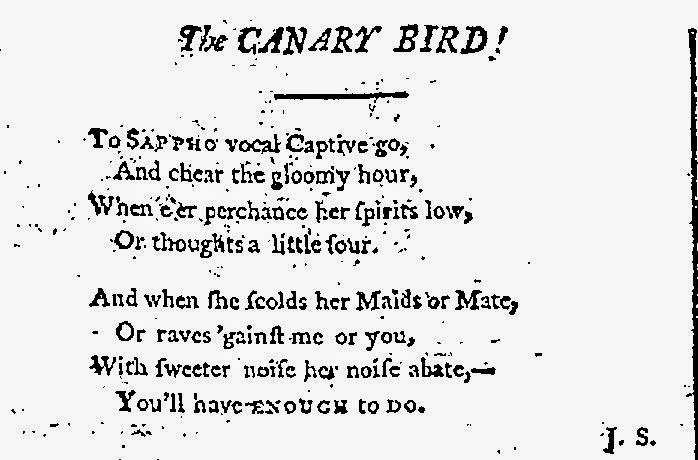 J. S. "The Canary Bird!" Times [London, England] 22 Oct. 1790: 2. The Times Digital Archive. Web. 8 Apr. 2014.